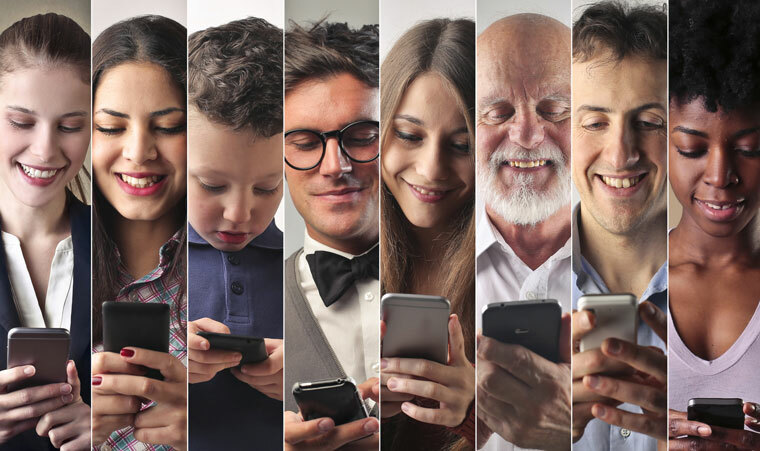 The way in which the mobile revolution has changed our relationship and interactions with information is a well-worn topic, just as mobile optimisation is now a familiar term. With more than a quarter of the world’s population using smartphones, many of whom rely upon them as their only access to the internet, businesses today are well aware of the importance of making their online properties and content mobile friendly and have already taken steps to address this need. So far so good. However, many organisations have the wrong idea when it comes to what maximising the user experience via a mobile device truly means in today’s increasingly mobile age and where mobile optimisation is heading. 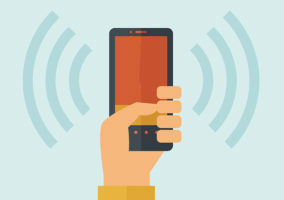 In the words of analyst, Esteban Kolsky, “Mobile is becoming the go-to interface for everything”. While mobile optimisation used to be a simple case of writing in some responsive design to make sure your web page or app opened on a smartphone, as web design has moved away from the fixed screen size to a more flowing canvas, the need for responsive design to post-fit content to a device has lessened. Instead, as new technologies continue to cause usage habits to change, mobile optimisation’s remit is shifting and becoming less about the ‘how’ of presenting information on a mobile and more about the ‘what’ and the ‘where’. The type of content that consumers look for on their mobile can be very different in nature from that which they’d seek out on a desktop – think very specific versus very broad. This means that just as previously information design had to adapt to screen size, now it is the information itself that must adapt to device type – showing short, sharp answers for mobile, and allowing for more detail on a desktop. Brands who want their mobile content to succeed will need to ensure they are presenting the right content, in the right way for the device in use. It is with the ‘where’, however, that I see the biggest potential for change. It’s common for businesses today to pour time and resources into the development of an app to deliver their content and services on the move. But with the number of apps on the App Store reaching the two million mark, the marketplace has become crowded, noisy, and dominated by a lucky few. Against such a competitive environment, a business’s app will frequently sit idly on the shelf with smartphone users unaware of its existence. There’s no doubt that mobile apps dominate the way in which consumers interact with brands on their devices, but brands should ask themselves whether their customers really want and need yet another company logo on their device’s home screen. The most popular apps within the App Store today are those from the biggest social networking and messaging platforms. They’re the communication tools we use every day, such as WhatsApp, Snapchat and Facebook Messenger. So how can brands tap into this popularity and harness it for themselves? As more and more businesses recognise the power of these apps, we will see them being used as direct gateways to other brands’ services. In the future, the ‘where’ of mobile optimisation will therefore be concerned with being directly present in those apps that are garnering the highest mobile traffic. For a good example of this type of app ‘hijacking’ in action, just look at the way in which Uber has tapped into both the usage habits of award-winning transport app, Citymapper and its millions of users, and Google Maps, everyone’s essential guide. Instead of asking users to install an app as the only way to access its services, Uber has embedded its features where users are already spending their time. Now, when about to embark on a journey, users can see (in real time) how long it would take to get from A to B using Uber’s service, as well as how much it would cost, alongside other methods of transport. There’s no need to download Uber’s app to benefit from its services – and Uber taps into the huge existing user base of both Citymapper and Google Maps. A few years ago, we thought of ‘mobile’ as an individual channel and our main focus was optimising for the mobile web through responsive design. Now, mobile is a delivery mechanism for all the established channels as well as the new channels opening up through the app model. To truly succeed with mobile optimisation, brands must now optimise for today’s existing mobile-centric channels, such as WhatsApp, Snapchat, Line and Facebook Messenger, and embrace what is set to come next.